Mai Beauty Nail Salon & Foot Massage is really best destination for quality nail care, friendly services, and so much more. If you are looking to take a first-class vacation, you have come to the right place. We are a full-service nail salon, specializing in everything from Manicure to Pedicure. Whether you need manicure, pedicure, nails repair or custom design services, you can rely on obtaining flawless, long-lasting results. Our friendly, high skilled, experienced technicians offer complete nail care services at very competitive price. 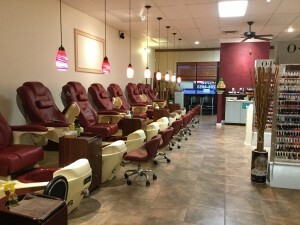 Located at 1876 Stickney Point Rd Sarasota, Florida, Mai Beauty Nail Salon & Foot Massage has a clean and peaceful environment, where you will always feel refresh and comfortable. Every client entering our salon, only need to sit back, relax, and let us pamper you from head to toe. Contact us today to schedule your relaxing, rejuvenating appointment! Special!!! We use high-quality O.P.I colors and products for all your nail services Thank you for your caring! Copyright © 2014 Mai Beauty Nail Salon & Foot Massage.